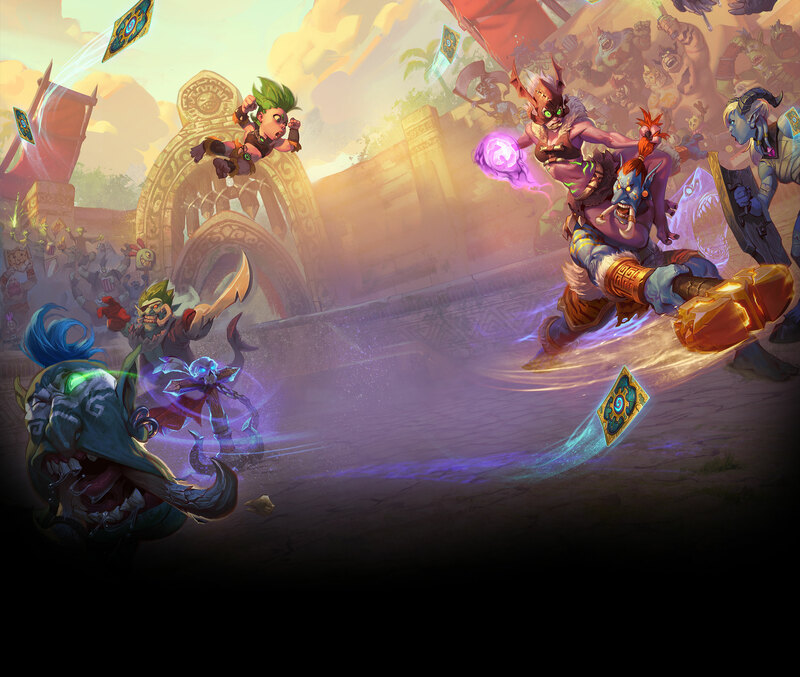 Rastakhan, king of the Zandalari, ruler of the great troll empire, is calling on trolls from all over Azeroth: come witness the greatest contest of skill, strength, and cunning the world has ever seen. You best bring your finest deck and your boldest plays when you join the rumble. The winner takes all; the loser? Finished. Being a troll means being fierce, smart, and fearless. Many hopefuls have answered Rastakhan’s call, but only the finest competitors will rise to the top. Time to throw down and prove your worth! Eight of the most fearsome troll contenders stand between you and ultimate glory. Let’s rumble! You start your run by picking one of three randomly selected Troll champions. This choice determines your class for this run and gives you a powerful minion on the board at the start of each match. You and your opponent both start with your shrines in play. Your shrine grants you a special boon tied to your Loa. Advance in the Rumble and add powerful spell and minion cards to your deck as you progress.